Pollen is the scourge of many allergy sufferers. Pollen is spread by the wind and comes from grasses, weeds and falls from trees. When pollen falls, it is carried through the air to the eyes, skin and nose and often causes people to develop allergy symptoms. 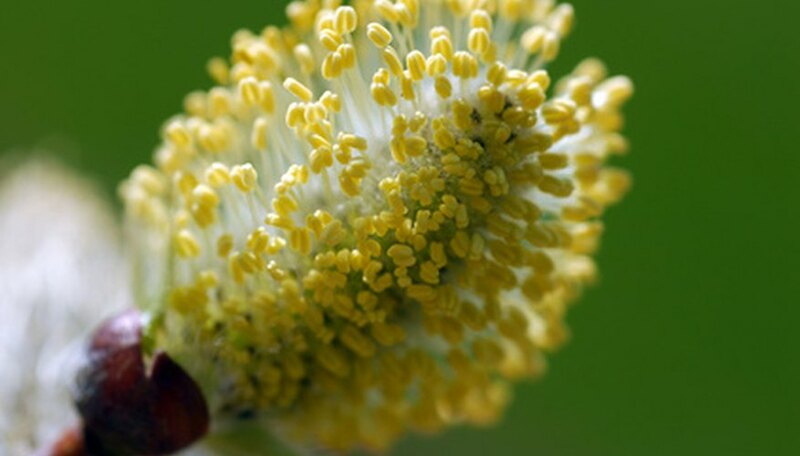 Pollen is released from the trees in the spring, between the months of January and April. The exact month depends on the location and climate. Summer is the time when the pollen count peaks, and typically comes from Bermuda grass, rye and timothy. Fall pollen season is characterized by weed pollens including ragweed and sorrel. Since pollen is necessary for the reproduction of plants, weeds and grass, it is produced in large quantities and continues to fall year-round, states Pollen.com. However, there are certain times of the year when pollen counts are higher. If you suffer from allergies, one way to avoid pollen is by obtaining a pollen forecast to determine pollen levels daily. Weather plays an important role in how long pollen continues to fall. A freeze late in the season can delay tree pollination, which results in the pollen counts being significantly lower. Rain often reduces the pollen count by washing the pollen from the air.